How to Withdraw AdSense Earning Using CIMB Bank Western Union? Google has been introducing Western Union Quick Cash payments for Malaysian Google Ads publishers since September 2007. This is great news for us as we no need to rely too much on check payment which mostly will take longer time to process. This mean you no need to wait for 10 days for Adsense check arrives and another 30 days for the Adsense check to clear in the local Malaysia bank. 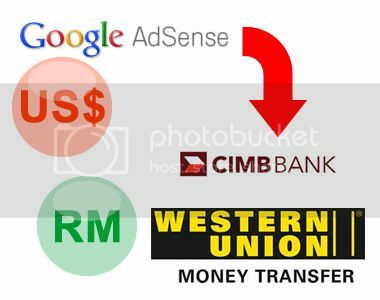 How to Withdraw Adsense Earning via CIMB Bank Western Union? On each end of the month, you will be given MTCN (Money Transfer Control Number) from Western Union. It is a 10 digit number that you need to write down this MTCN in the form. You can get this by logging in your Google Adsense account. We have heard a lot of bloggers complaint about Google Adsense accounts getting banned. Most of the reason observed in most of these cases is click fraud. 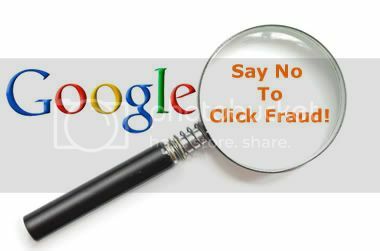 Do you know what is click fraud? It is the act of clicking on ads for the purpose of earning income from the advertisers. Based on the Google Adsense terms of service and policies, if the publishers perform click fraud then it will result in their accounts being banned. Thus, please don’t try to play this fool game. Most of the people have their same thinking that forming a click fraud community to help each other to click their ads is healthy activities since Google may not know the person perform self-clicking as the IP address always different. This is stupid action entirely. Google can do more than what you expected!!! How Google Detect The Invalid Click? Advertlets is founded by Josh Lim & Associates.